The IRS should not be biased against inherited Roth IRAs, but the IRS is. Some IRS administrations are more biased against inherited Roth IRAs than others. The IRS does not like the fact that a person may inherit a Roth IRA and earn tax-free income over the beneficiary’s life expectancy. This will be accomplished if the beneficiary limits his or her distributions to the required amount each year using the life distribution rule. This will not be accomplished if the 5-year rule is used. The IRS last revised model Form 5305-RA in March of 2002. In Article V it is clearly stated that a beneficiary will use the life distribution rule to comply with the required distribution rules unless he or she elects the 5-year rule. The 5-year rule applies automatically if there is no designated beneficiary (e.g. the estate is the beneficiary). (a) The remaining interest will be distributed, starting by the end of the calendar year following the year of the depositor’s death, over the designated beneficiary’s remaining life expectancy as determined in the year following the death of the depositor. (b) The remaining interest will be distributed by the end of the calendar year containing the fifth anniversary of the depositor’s death. The IRS in Publication 590-B (Distributions from IRAs), page 36, gives murky guidance discussing distributions after the Roth IRA owner’s death. 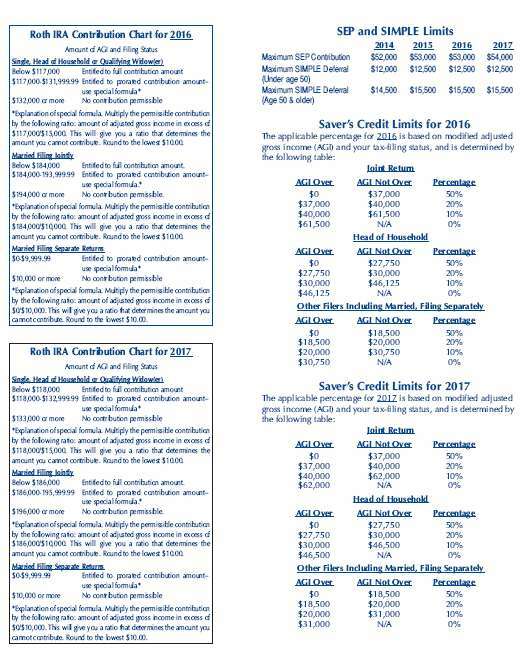 “Generally, the entire interest in the Roth IRA must be distributed by the end of the fifth calendar after the year of the owner’s death unless the interest is payable to a designated beneficiary over the life or life expectancy of the designated beneficiary.” The IRS could and should be informing a Roth IRA beneficiary that if he or she elects to use the 5-year rule that one loses the right to earn tax-free income and therefore most beneficiaries should use the life distribution rule. In recent years the IRS has adopted rules and procedures to be more fair and transparent. At times the IRS has a great conflict of interest and should make this known. 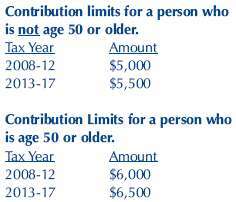 The IRS should revise its discussion of inherited Roth IRAs to not try to induce a beneficiary to use the 5-year rule. Roth IRA Conversions, Is it Worthwhile For a Person to Change State of Residence Before Converting ? For most individuals it will not be worth the effort or the inconvenience to change their state of residence prior to doing a Roth IRA conversion contribution. For others, not having to pay state income tax on the conversion will make it worthwhile. When one converts the funds within his traditional IRA to a Roth IRA, he will include the taxable amount in his income for federal income tax purposes. What about state income tax? Individuals residing in states with incomes taxes will also need to pay state income tax on the amount converted if they reside in a state that assesses an income tax. For some, this may be substantial as the highest tax rate is the following in: ( California-13.3%, Hawaii- 11.01%, Oregon-9.9%, Minnesota- 9.85%, Iowa - 8.98%, New Jersey- 8.97%, New York-8.82%, etc.). For example: An individual residing in California, New York, Michigan, Minnesota, Iowa or any other state with an state income tax may wish to move to a state with no income tax ( Texas, Florida, Tennessee, Nevada, Wyoming, Washington, and South Dakota. ) for the period required under the various state laws to avoid paying the state income tax with respect to his Roth IRA conversion. For most individuals it will not be worth the effort or the inconvenience, but for others the tax savings will make it worthwhile to move to a state without a income tax for a certain time period so that the individual may convert his or her Roth IRA and avoid paying state income tax. Under current laws, a person could return to his “home” state later after doing the conversion while residing in another state. Time will tell if these states will enact laws giving them the right to try to tax such funds even though the conversion had occurred when a person was a non-resident. IRAs hold over 27% of all retirement plan assets in the United States. People are and should be writing about IRAs. Some articles, including brochures, will sometimes contain errors. A certain investment firm has recently sent a fax to some financial institutions discussing Roth IRAs and some incorrect statements were made. Your institution may have been sent the fax. November and December are month when some traditional IRA owners decide they are going to do a Roth IRA conversion. Within this article we do not directly name the investment firm, but it is a major firm. The main error within the article is to state that there is always a separate 5-year time period for each distinct Roth IRA conversion contribution. CWF’s answer is, let us review what you are reading and let us make a determination if we are wrong in our understanding of the tax rules or if the investment firm is wrong? There are actually two 5-year rules which may apply to a Roth IRA distribution. You, your customer, and their advisors want to understand both rules. The first 5-year rule relates to whether the distribution of income from a Roth IRA will be taxable or not taxable. There is only one 5-year time period for this 5-year rule. The second 5-year rule relates to whether a person who is under age 59½ when he or she does a conversion will owe the 10% additional tax if he or she takes a subsequent withdrawal from the Roth IRA before he or she has met a second 5-year requirement. For this purpose, there is a 5-year time period determined for each conversion. When a person under age 59½ does a conversion, he or she does NOT owe the 10% additional tax as generally applies when a person is not yet age 59½. If there was no requirement to leave the converted funds in the Roth IRA for a certain time period after the conversion, any person under age 59½ who wanted to take money from his or her traditional IRA would first convert it to a Roth IRA and then take the distribution from the Roth IRA to avoid the 10% tax. The lawmakers could have decided on any time period: 3-years, 6-years, 10-years, but 5-years was selected. Having two different 5-year rules is confusing. The 10% additional tax is not owed by a person who has done a conversion once he or she attains age 59½ or meets the 5-year rule with respect to that particular conversion. For example, a person who is age 57 at the time of the conversion is subject to the 5-year rule and also the 10% additional tax for any distribution he or she would take between age 57 and 59½. The 10% tax is not owed once a person attains age 59½. “Unlike the 5-year rule that applies to contributions, the 5-year rule applies to each conversion separately; each conversion has it’s own 5-year waiting period before a qualified distribution may occur.” These two statements are categorically incorrect. “Recharacterization is only available in connection with converting amounts into a Roth IRA. It is not available for conversions within a qualified plan.” This is not well-written. It is true a qualified plan participant who converts taxable funds into a Designated Roth account cannot recharacterize such conversion. However, the first sentence is wrong because a person is permitted to recharacterize an annual contribution by going from a traditional IRA to a Roth IRA or going from a Roth IRA to a traditional IRA. 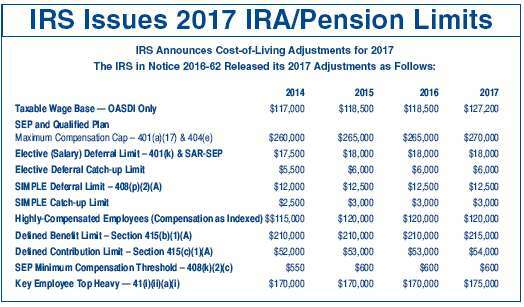 The statement is also made that “IRA conversions can be recharacterized up to October 15 of the year following the conversion.” Not everyone qualifies for this extended deadline. The actual law is, a person has until April 15 of the following year to recharacterize a contribution (be it a conversion or an annual contribution). However, if a person filed his or her tax return by April 15 and paid any tax owing, then he or she is given until October 15 to complete the recharacterization. CWF’s explanation is consistent with IRS guidance as set forth in the Regulation 1.408(A) and IRS Publication 590. See Q&A’s 2 and 5 of the regulation. 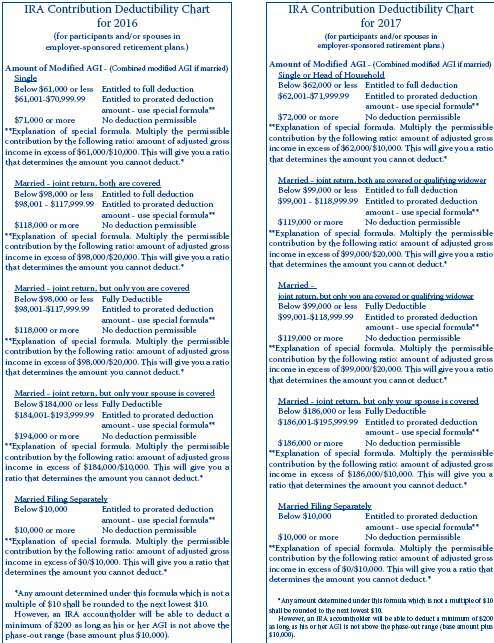 Any article on Roth IRA distributions should explain that the law mandates that distributions come out in the following order: annual contributions, the conversion contributions in order of time (oldest come out first), and then earnings come out last. A person never owes income tax when he or she withdraws a contribution (annual contribution or a conversion contribution) because such contributions were made with after-tax funds. A person never owes income tax when he or she withdraws the income or the earnings and the distribution is “qualified.” A person does owe income tax on the earnings when he or she withdraws the earnings and the distribution is NOT qualified (e.g. not 59½ or 5- year rule not met). And if this person is under age 59½, he or she will owe the 10% additional on such earnings. In summary, the investment firm’s Roth IRA article contains a number of errors. In 1999 the law was changed so that there is only one 5-year time period for purposes of determining whether nor not a Roth IRA distribution is qualified (tax-free) or not. Believe it or not, everyone should congratulate the lawmakers as they did try to simplify the tax calculation. The original law effective only for 1998 would have required a person to have separate 5-year time periods for Roth IRA conversion contributions versus annual Roth IRA contributions for purposes of whether the income was taxable or not.